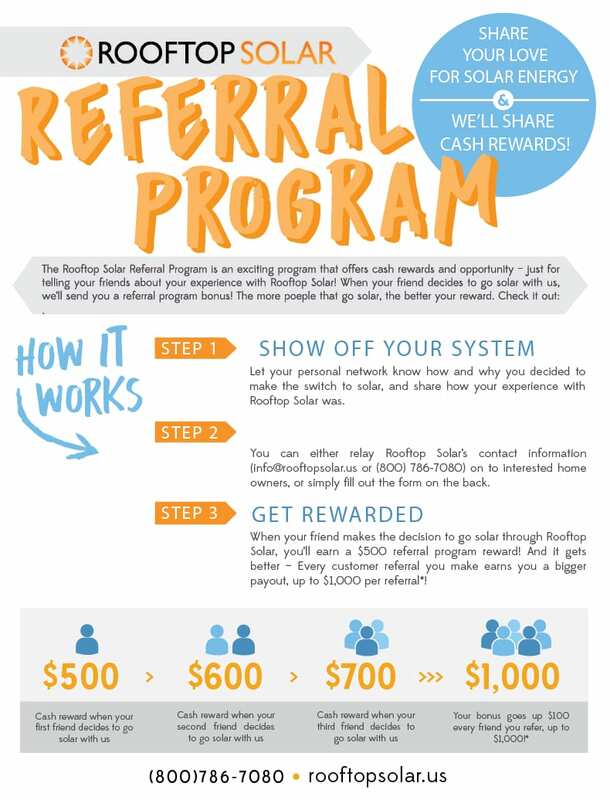 The Rooftop Solar Referral Program is an exciting program that offers cash rewards and opportunity – just for telling your friends about your experience with Rooftop Solar! When your friend decides to go solar with us, we’ll send you a referral program bonus! Go to rooftopsolar.us/referral and let us know who might enjoy the benefits of going solar!